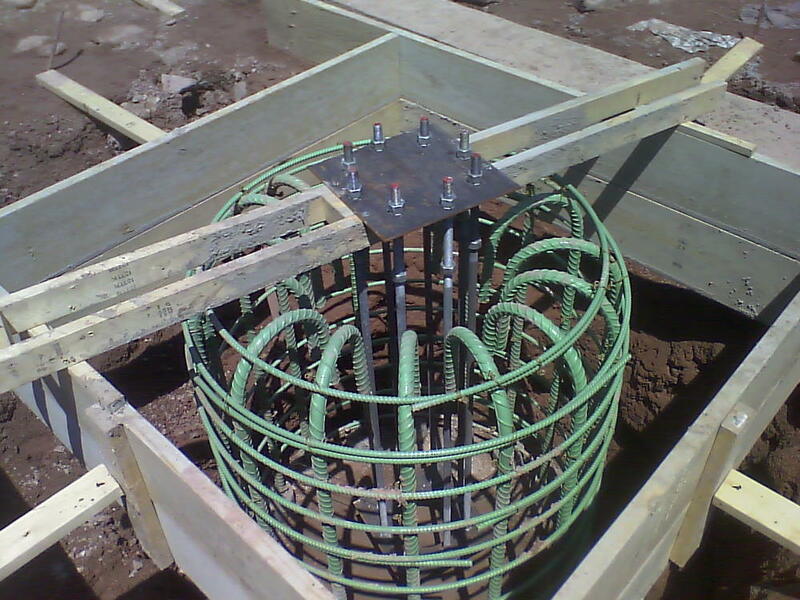 Drilled shaft foundations, or caissons, are larger diameter (typically >24”) reinforced concrete deep foundations used to transfer structural loads below grade to suitable soil and or rock formation elevations. These foundations can be designed as end bearing, friction, or a combination of both and typically are designed to support higher loads than micropiles. Earthcore has the capability to drill and install caissons in a variety of subsurface conditions and in limited access/low headroom conditions. Often caissons are drilled with steel casing as the shaft is advanced to ensure the hole stays open for inspection and proper placement of reinforcing and concrete. Additional loading capacities can be designed by the use of drilling tie-downs/rock anchors below the elevation of the bottom of caisson. Earthcore has perfected the use of custom equipment to effect this option on any project designed. Caissons are often not considered to be cost effective building elements, but Earthcore has the capability to mobilize smaller equipment units in combination to economically construct projects of smaller magnitude or quantity. Our team has extensive experience in assisting the design engineer with determining the feasibility and constructability of all foundation elements.